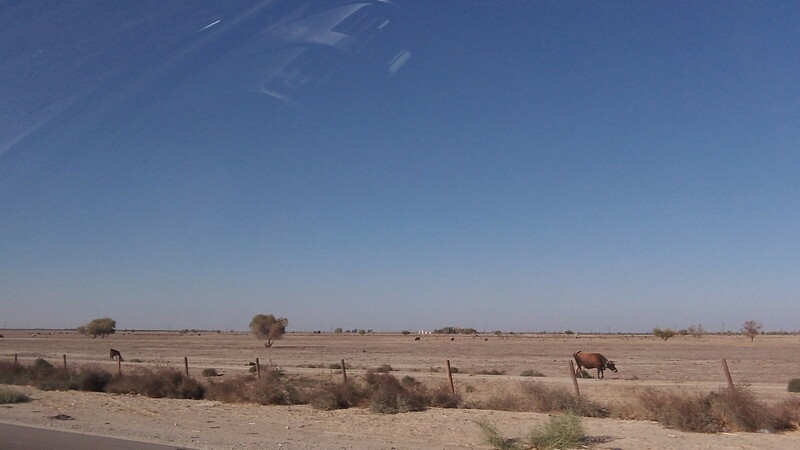 Cattle subsist on this desert-like part of California’s Central Valley off Interstate 5. Looking at California’s drought makes the traveler — at least this one — doubly grateful for the 13 dams in the Willamette River Basin. Even in relatively dry years, these storage and flow-regulating dams store enough water to keep the tributaries and the main river at levels high enough to assure an adequate supply, especially of drinking water. Along Interstate 5, from Hilt in the very north to south of Los Angeles, big overhead reader boards announce the “serious drought” plaguing the state and urge people to conserve water. The message does not get through everywhere. The Orange County Register reports that while water use compared to last year has gone down in some towns and districts within the county, in several others it has actually gone up. In the general election this fall, Californians are being asked to approve Proposition 1. It’s called the Water Quality, Supply and Infrastructure Improvement Act of 2014, and it would authorize a $7.545 billion general obligation bond issue. The money borrowed in this way would help pay for “new surface and groundwater storage projects, regional water reliability, sustainable groundwater management and cleanup, water recycling, water conservation and safe drinking water, particularly for disadvantaged communities,” in the words of the Association of California Water Agencies. Needless to say, the association supports the measure. And so do about 58 percent of California voters, according to a poll the association cites on its website. A San Francisco group analyzing the measure points out that dam building would be controversial because of the environmental effect. But the group, SPUR, also notes that with climate change, it would be helpful to be able to store more of the precipitation that falls as rain rather than snow in the Sierras. Exactly. That’s one of the functions of our Willamette Basin impoundments. Most water is used for agriculture. Raising a steer to export to Japan is similar to export a thousand gallons of water with each pound of steak. So I hear. Industry can be similar. I suppose I could do cites or offer some calculations but tell Klamath Falls and Medford and the US Weather service that we are not in extreme drought in Oregon. The Great SW desert is moving our way and has been for centuries. Dam building is like peace in our time. But nothing works forever. Neither do salmon runs.